After a thrilling Senior Cup Final yesterday, the spotlight was now on the Girls Inter-Club in which The Grange, Royal County Down Ladies, Limerick & Co. Sligo were all aiming to be crowned 2017 All-Ireland Champions. First up were the Grange and RCDL which proved to be a ding dong battle with both teams one point a piece after the first two matches. Lavinia Bowe secured the first point for RCDL with a 2up win over Ellen Nolan from Grange but the scores were equalled shortly after as Rachel Lynch from Grange beat Katie Poots 5&3. 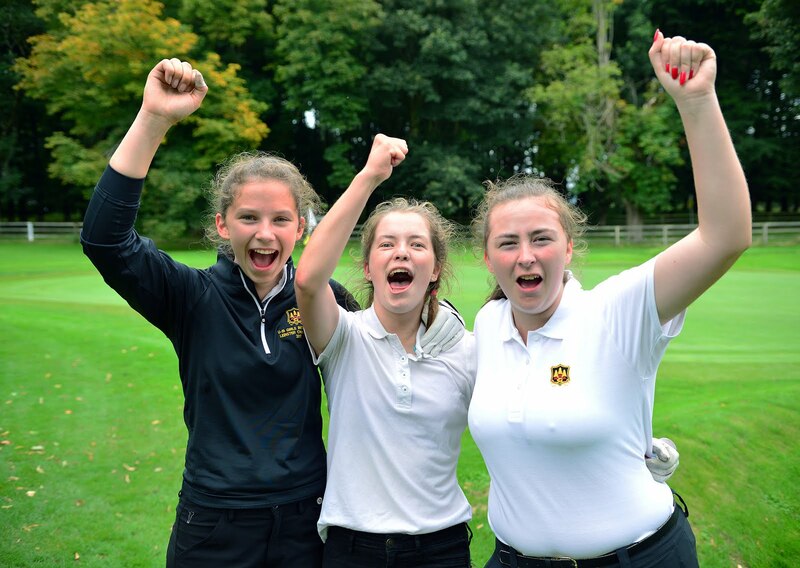 The last match between Ciara Corcoran and Julia Hill seemed to be heading the way of the Grange as Ciara was 4up through 12. However, Julia staged a comeback and brought the match all the way to 18 but lost 1up in the end.